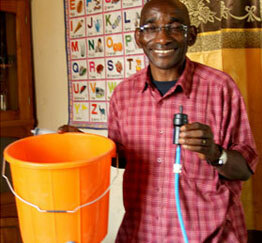 Why is Safe Water Needed? 1,000,000,000 people in the world today have no access to clean drinking water. Many millions of them suffer illnesses because of it—and millions of those die from waterborne diseases. It is estimated that 80% of diseases in the developing world result from unsafe drinking water and inadequate sanitation. Waterborne illness kills almost 5,000 people every day, most of them children under the age of 5. Safe drinking water is a rare commodity for many of the “least of these” whom we serve around the world. Their water sources are often muddy, polluted, and parasite- and bacteria-ridden, causing chronic illness and even death. Watch as villagers in a remote Burmese village receive piping to transport life-changing water from a distant mountain spring. We are providing water where there is no good local source of water by: 1.) drilling wells in rural villages, and 2.) installing rainwater collection systems and cisterns. We also provide emergency water whenever a disaster strikes—such as an earthquake or major flooding—that wipes out people’s source of safe drinking water. 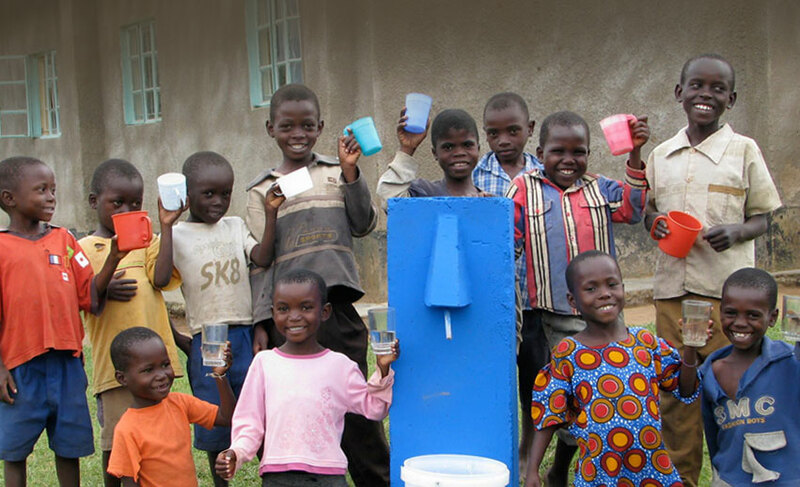 We are helping to provide abundant clean drinking water in many poor countries around the world such as, but not limited to, Mexico, Kenya, DR Congo, Rwanda, Zimbabwe, Ethiopia, Uganda, India, Sri Lanka, and Myanmar (Burma). Many people around the world lack the knowledge that drinking unclean water can make you sick, or the importance of washing your hands or vegetables with clean water. 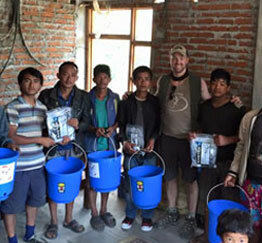 We provide water education classes, learning materials, and tools to the “least of these” whom we serve. Sawyer water filers are small but mighty. They employ the same filtering technology that is used for kidney dialysis. One full-size Sawyer filter can effectively remove 99.99% of bacteria and other pathogens from as many as one million gallons of water during its expected lifetime. Biosand filters are easily constructed from inexpensive materials available all over the world, such as cement, PVC pipe, sand and gravel. They remove 95-99.5 percent of microbial contaminants as well as 100% of worms and parasites. Each unit can purify 15-20 gallons of water/day. Safe, clean water always results in big smiles! A simple gift will help improve the quality of life for many poor villagers by providing clean drinking water with the Living Water of the gospel of Christ.